The perpetual calendar is one of those coveted complications by watch connoisseurs. It is the technical complexity of having a watch that always displays the correct date, and can even deal with leap years, that brings quite some appeal to the table. Not every watch brand can make this complication, and when they do, more often than not they can be found in very classic styled watches. Not Hublot, who made the perpetual calendar part of their legendary Big Bang collection! 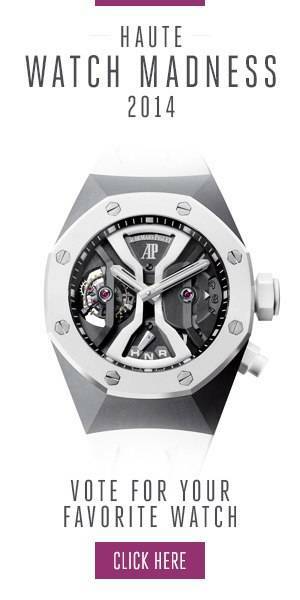 416 parts make up the movement of Hublot’s Big Bang Unico Perpetual Calendar, and this is also because the brand left the signature complication for this watch, the chronograph, intact. That makes this Big Bang all the more tempting, especially since it is also a very robust watch. The case measures 45mm in diameter and has a water resistance of 100 meters. This makes the Hublot Big Bang Unico Perpetual Calendar not only a genuine piece of Haute Horlogerie but also one that can be enjoyed daily. Even when that isn’t that case, as most watch connoisseurs own more than one watch, the Hublot is easier to get along with than most other perpetual calendars. With a power reserve of 72 hours, you can take it off for a couple of days, without having to reset the calendar functions. Also, the different materials in which Hublot offers the Big Bang Unico Perpetual Calendar greatly support daily wear. Of course, this is where the Art of Fusion comes to live, like for example with the Magic Gold version, which has the case made from this unique, scratch resistant gold, which is proprietary to Hublot. In contrast, both in color and texture, it is fitted with a black ceramic bezel. The same contrast we can find in the King Gold version, which features a case made from the rich looking King Gold, while the titanium version offers a more sportive look. The Big Bang Unico Perpetual Calendar Black Magic and Sapphire have a slightly different approach, as the first one is made completely out of micro-blasted and polished black ceramic, while the second one feature a case made from sapphire crystal. Also in these two versions, the watch continues to be captivating, of course especially in the sapphire crystal case. This allows owners an even better view of the unique movement of this watch. The dial also evokes the Art of Fusion, as it is skeletonized and shows the parts of the calender and chronograph complication beneath it, as well as their perfect finish. However, this does not come at the expense of functionality, as Hublot cleverly highlights all the functions, making them easily visible. It is the combination of all of the above that make this Hublot Big Bang Unico Perpetual Calendar, such an exceptional watch. It is highly complicated yet very wearable, it is designed with an eye for detail, yet not at the expense of functionality, and above all it is a true Haute Complication!